Maybe there should be a “Beware” sign that warns: the National Restaurant Show could be bad for the diet, raise the blood sugar and leave you yearning to try more, more and more. 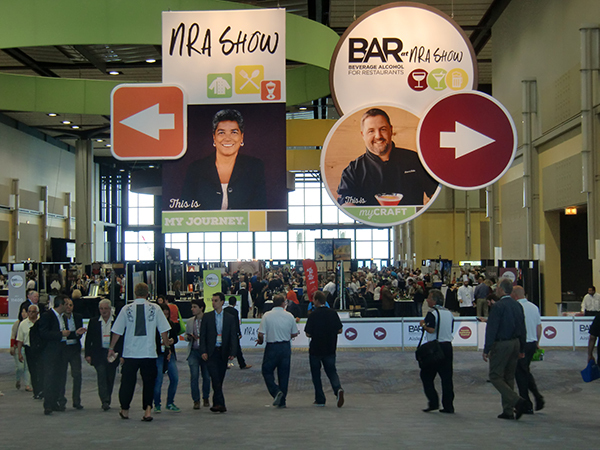 At the 2015 NRA show more than 2,000 exhibitors filled three buildings at Chicago’s McCormick Place with cool gadgets and more than enough treats to have its 44,000 attendees feeling like kids in the proverbial candy store. By the way, when demonstrators of specialty products were asked where consumers can find them, the reply was usually Whole Foods.